In A Dark, Dark Wood shows how dark a reunion of friends can get. It goes into the worst possible scenarios that could happen at a reunion all leading to the last scenario that leaves them unsure of who to trust. Nora lives alone in a flat in London. She runs frequently and enjoys living alone because she doesn’t have to share with anyone. One day while writing a book, she gets an email from an old friend from college called Clare. The email invites Nora to a getaway before Clare gets married. Nora decides to go. When she gets to the isolated house, something feels off to her but she can’t tell what it is. As the getaway goes on, Nora starts feeling more and more like something odd is going on around her. Finally, during the night all the girls in the house are awoken by a loud noise. The gather together in one room and start hearing footsteps coming up the stairs. Nora grabs a shotgun oddly placed on the wall in front of her and walks out to the stairs. At the stairs, Nora sees a hooded man coming up the stairs. Nora precedes to shoot him with the shotgun which sends him tumbling back down the stairs. As Nora goes to see who it is, she sees that it’s James her college love. James also happens to be the man Clare is getting married to. 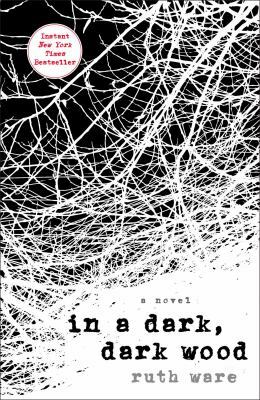 In A Dark, Dark Wood by Ruth Ware is available for checkout from the Mission Viejo Library. Posted on August 11, 2018 by Angela L.
When I first picked up The Mark of the Assassin by Daniel Silva at Barnes and Nobles, I was fascinated by the title. 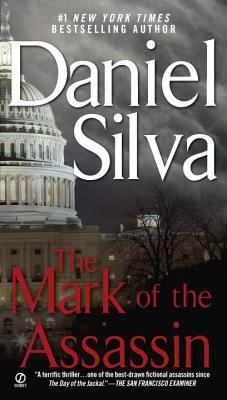 Truth to be told, I first saw Daniel Silva’s books at JFK International Airport when I was coming back to California from New York; and since I adore spy novels, I looked into the series that Silva wrote, found this novel, and decided to give it a read. In my opinion, this book started out awfully slow. 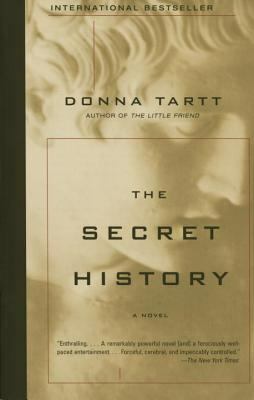 However, during the first half of the novel, the reader gains a thorough understanding of the main characters and the background information leading up to the climax. Even though the beginning was really slow and has little action, I still enjoyed getting acquainted with Michael Osbourne, his family, and his rivals. This being a book report, I imagine now you, as the reader, would want to know what this novel is really about. However, I give no promises for spoilers. This novel is about CIA agent Michael Osbourne and his nemesis, Jean-Paul Delaroche. Now you might be wondering: why does Osbourne and Delaroche have such a bad history? Well, the shorter version is Delaroche shot and killed Michael’s past lover with him watching and Michael wanted revenge. So, when the perfect opportunity came, he grasped it and was extremely desperate to find the truth. It’s not exactly a pretty story but none of the important characters died, I promise. (Well, some people died, but, they’re not as important.) The mark of that assassin is killing his opponents by shooting them three times in the face and it is literally one of the coolest aspects of the book. Sure, it is bloody and disgusting, but I like how Delaroche has a personality and it would’ve been so dull if Delaroche didn’t have his style. This book has kept me on edge until the last page. What I find amazing is Silva’s ability to integrate so many plot twists and unexpected relationships that you’d never expect. When I got to half, the plot twists got so intense that my mom had to break me out of my reading coma. I’d praise this book for the raw emotion that Daniel Silva’s characters bring to the table. It is a wonderfully written story and I would totally recommend it for the action and the formidable characters. Daniel Silva’s The Mark of the Assassin is available for checkout from the Mission Viejo Library. Posted on December 15, 2017 by Maya S.
There is a recently-added feature to the YA section called “Allen’s Pick”. And, as I was walking through the library, I spotted this little tag and decided to give the recommended novel a try. Little did I know it was the perfect kick-off to my summer, fulfilling my favorite three genres: historical fiction, fantasy, and mystery. Though the main character, Evie O’Neill (a Diviner, herself), and I got off on the wrong foot, I soon began to fall in love with her charming wit and Bray’s use of decadent literature. The year is in the 1920’s where 17-year-old Evie O’Neill is performing her party act in front of her slightly drunk friends. She asks for a person’s possession. She touches it, falling into a deep trance before delivering the verdict. In one case, she uncovers one boy’s secrets. Without thinking, Evie spills, causing quite the uproar and later the punishment of moving to live with her mysterious uncle in upstate New York. While Evie’s parents believed they were sending Evie to her mortal hell, the star-struck-wannabe-flapper was cooking up something entirely different. I thoroughly enjoyed Bray’s novel, for its language, plot, and musical references. She certainly did her research, finding what a teenage girl in New York in the 1920’s would be doing with her life. I even had to google ‘Libba Bray age’ to make sure she was not 108 and therefore was not 17 years old in 1921. Bray then went on to write a sequel to the Diviners, entitled, the Lair of Dreams. Next time you visit the library, I would definitely recommend looking for the “Allen’s Pick” tag, and try a new read! 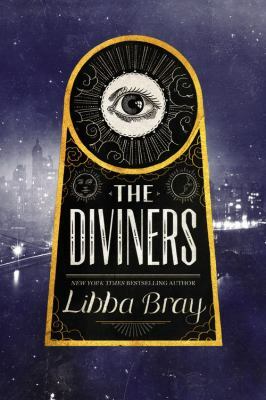 The Diviners series by Libba Bray is available for checkout from the Mission Viejo Library. Posted on November 12, 2017 by Max U.
Psycho is an amazing piece of both horror and suspense. One day when my mom and my little brother where at Sea World, I took advantage of the time to watch some good, old classic horror movies with my dad. At first we watched Apocalypse Now, a movie about a soldier in the Vietnam War. 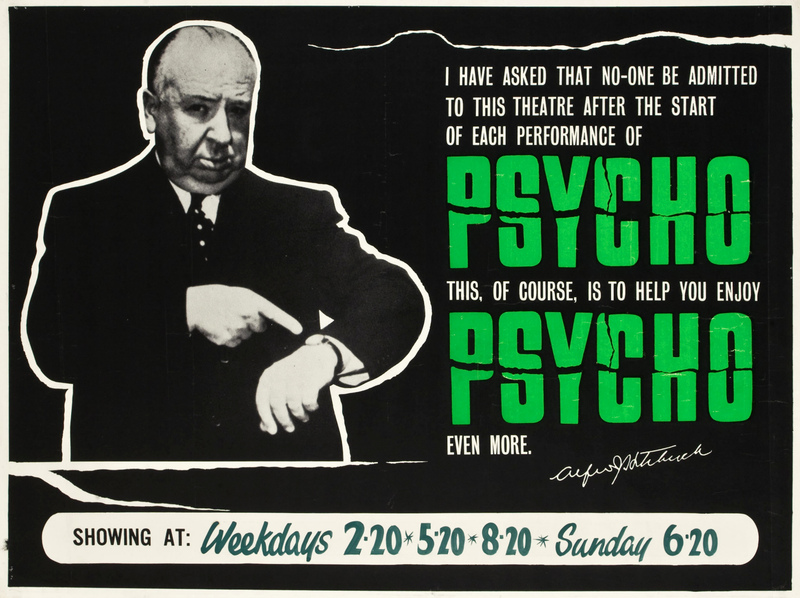 Then we stumbled upon Alfred Hitchcock’s Psycho, a movie about Norman Bates and his crazy relationship with his mother. At first the movie was kind of slow and didn’t reach the suspense fast enough to call it the first slasher film in film history. Then as the movie kept on going and going it got to the part that made it so famous. The stunning thing about it was that you never would have seen any of these parts in the movie happen. If I went to see Frankenstein or Dracula I wouldn’t see anything I saw in Psycho. For this review I really had to put myself in someone else shoes. It made me think how this film would make me feel if I was alive in the 1960s. This film would shock me because there was so much suspense in the film. For example, the music–an excellent job by Bernard Herrmann–had me at the edge of my seat because it was so suspenseful. In general, the entire movie was outstanding a real master piece of both suspense and horror. This film earned this title “the first slasher movie ever”. In my mind this film put Alfred Hitchcock on the map in my opinion. This film not only was remarkably successful but, this film inspired a lot of films like it. This movie has a perfect score in my mind. Alfred Hitchcock’s Psycho is available for checkout from the Mission Viejo Library. Posted on September 14, 2017 by Kyndle W.
I’m not going to lie, when I originally heard of the T.V series Riverdale, I thought it was going to be lame. I thought it would be one of those typical high school dramas where teens from the popular and non-popular groups fall in love. I was wrong. My friend and I were bored one day and we decided to watch it and within the first 10 minutes, I was hooked. 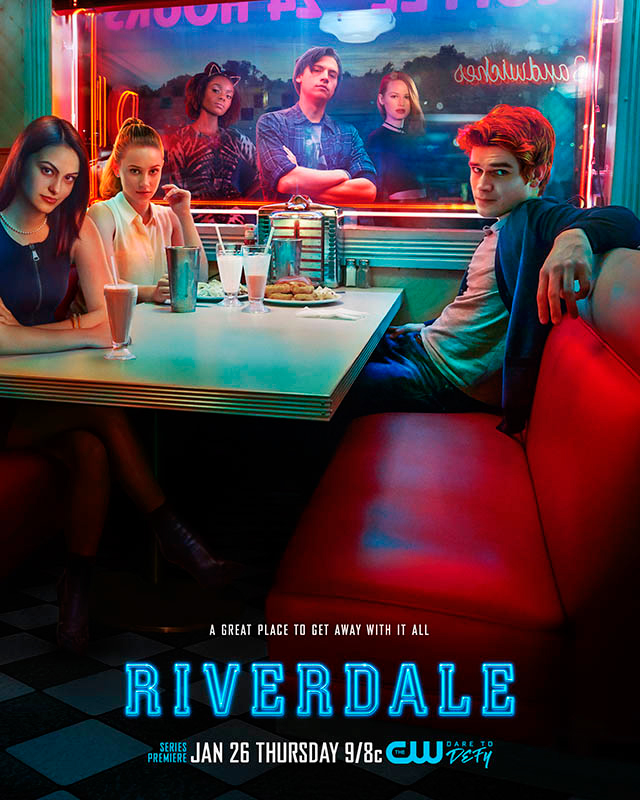 The show is about a small town called Riverdale, a seemingly average town with average adults and average high school kids. The death of a rich and popular teen rocks the town and initiates a fraught murder mystery. There is so much action, drama, mystery, and of course romance. Not only does Riverdale keep you on your toes wondering what crazy event will happen next, but the show also does a great job of showing all the different kinds of people. The singers, the jocks, the “geeks”, the rich, the poor, and also the LGTBQ community. My friend and I both finished the first season in only a few days, and cannot wait for season two which airs in October. If you haven’t yet watched Riverdale, I definitely recommend you watch it, before season two comes out.